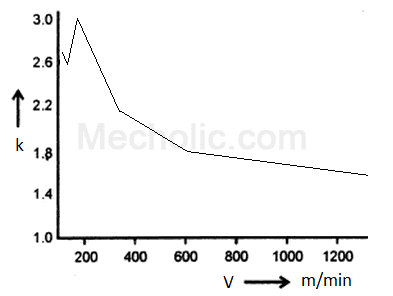 Fig 1 shows that the variation chip reduction coefficient k with the cutting speed V. At lower speed chip contraction decreases and hence the coefficient of contraction decrease with increase in speed. At a certain point of speed, the contraction begins to increase, the value of the coefficient of contraction increases to its maximum value. After its maximum point coefficient of contraction drops again with an increase in speed. 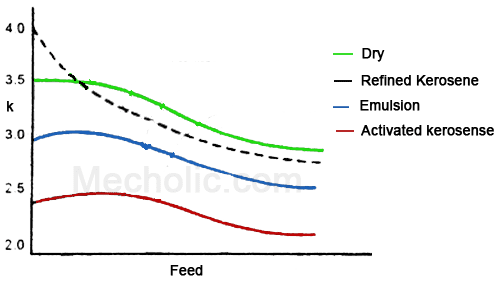 Fig 2 shows the variation of chip reduction coefficient with the feed rate of the cutting process. 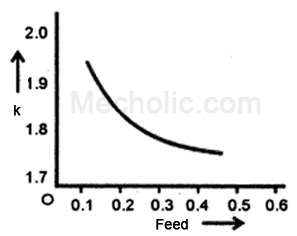 From fig 2 the chip reduction coefficient decreases with increase in feed. Fig 3 shows the behavior of chip reduction coefficient when using different surface active cutting fluid.